Tis the season for the complete release of the colorful and fun web series Mæry Queens and the debut short film suspense mystery Denizen – both begging the audience to figure out who has been naughty – and who’s not been very nice. But all jokes aside, there are a lot of suspects and a whole lot of excitement in both the web show and the movie and it’s just in time for the holidays. 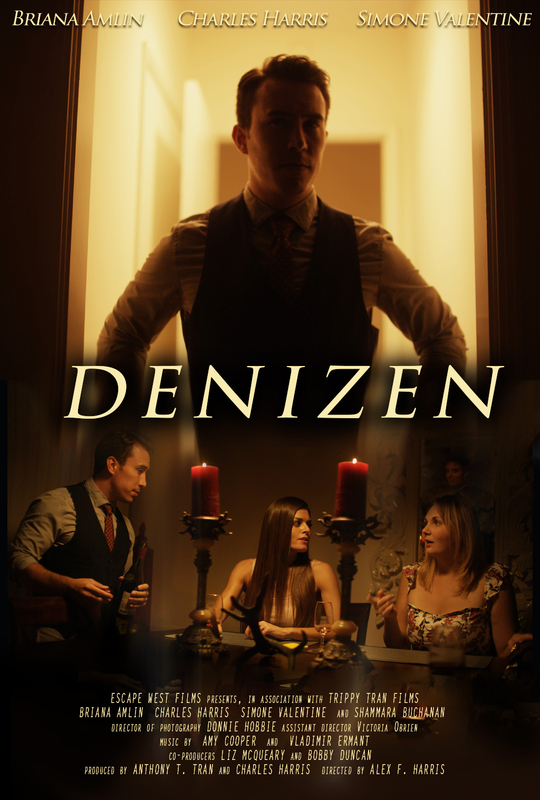 “Denizen” was shot on a RED DRAGON cinema camera. When a young woman Marsha Harvey moves into a lavish apartment in Los Angeles, she learns that the previous tenant who lived there died. At a dinner party, will she uncover the truth behind the denizen? Discover “Denizen” by Trippy Tran Films & Escape West Films in association with Shake the Sky this Christmas season December 21, 2016. Colombian director Henry Corzo of Corzo Productions has created a quirky over-the-top LGBTQ mystery based in Long Beach, California and not only does it have mouth-watering juicy drama, but also touches on important issues for any sexual orientation with a group of pals. Trippy Tran Films cinematographer and singer/rapper Trippy T, also known as Anthony ‘Rory’ Tran, guest stars and is the Director of Photography. Corzo Productions is bringing a lot to the LB community, even with its risqué themes at times. 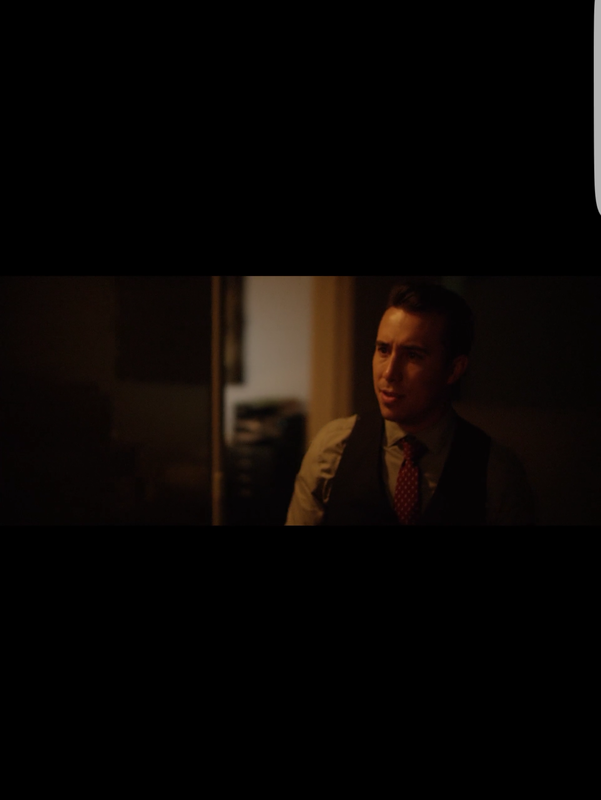 Tran also wanting to give back to the community in his new hometown in Long Beach, CA as he did when living in Cincinnati, Ohio, there was no doubt that the collaboration with a “non-West Hollywood” vibe and a more of an “LB” LGBTQ color would have the group making a stand-out comedic and mysterious web series. The season finale gets a little steamy! Find out on Mæry Queens! Season finale red carpet premiere December 10th @ Paradise in Long Beach, CA. Are you a person on the go with the holiday rush? Each episode is only 5-7 minutes long and with a total of 12 episodes this season, you can watch the whole mystery dramedy in a little over an hour if you wish- or simply per webisode. Pictured Daniel Donnie Flores and Alex Correa with Anthony Rory Tran (DoP). Mæry Queens Christmas party in episode 7. Get Merry with Mæry Queens this holiday season! A.D. Bobby Duncan slating the shot. Director of Photography Anthony ‘Rory’ Tran snapping a behind-the-scenes pic of episode 5 “Competitive Queen” with actors Felix Aispuro and Kyle Mosoyni. Everyone could have a reason to threaten the birthday boy. Which person at the pool party is trying to scare Nick to moving out of Long Beach? Premiering December 10th, after a full season of drama you can watch the last 2 episodes of this gay webseries and find out who really kidnapped Hotto. The kidnapper even threatens to do worse to the cat and the people at the party if the birthday boy doesn’t put his LB house up for sale before midnight. The final episodes will appear online at the Mæry Queens YouTube channel this Sunday. See all the ho ho ho’s and Prep for mystery. The sleep deprivation psychological thriller has been in the works for quite some time. Since it’s Director’s Cut premier in 2013 at a private test screening, a theatrical cut has been announced but not complete – until now. An intern from Columbus State has taken over the edit and is working on a new trailer for the release. The cut is being prepped for film festival submission, distribution overseas as well as in the U.S. and then the public release. It’s been a process since the project started in 2009, but the feature film is now seeing the light at the end of the tunnel. With 27 bands and artists on the soundtrack, a wide range of participants including actors, filmmakers and VFX from its production location in Cincinnati, OH to collaboratives from New York to L.A., Obliquity is going to deliver a mysterious mind-bending trippy world with color, contrast and thrills that will take you on a journey of the psyche. We’re excited to announce some new movies and releases for 2017 including the new short The Remnants by director/writer Alex Harris (Denizen), Trippy T’s new music video “SoCal Waves” from the miniseries My Vacation In LA, plus new skits, projects and InPersonNation 2. Follow our page and check us out on social media. Have a great holiday season folks! And thank you always for visiting and showing continued support for TrippyTranFilms.com and our affiliates. Be sure to discover these unique new releases and connect us with here at TrippyTranFilms.com and as always, we appreciate beyond greatly for your continued support in all our entertainment endeavors. Stay sunny tripsters! From the Obliquity soundtrack, check out “Shimmer of Longing” music video the first music video release.